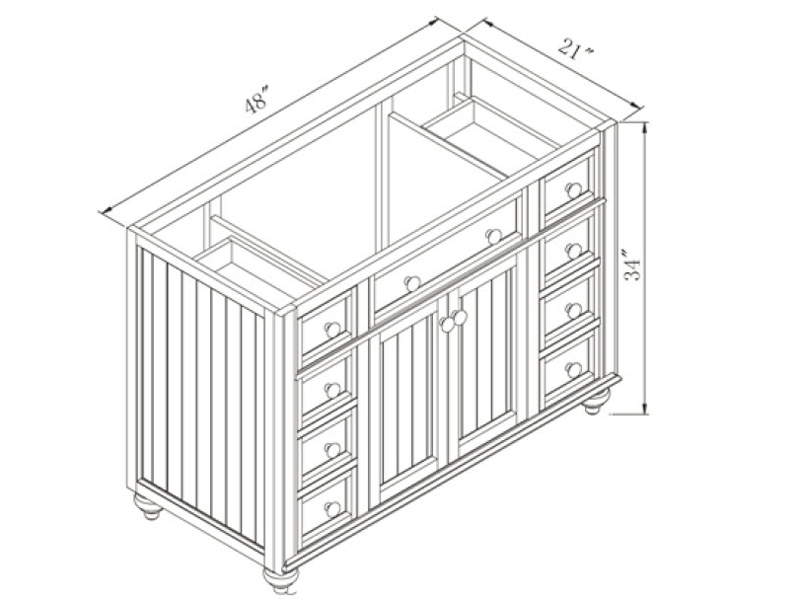 Bold turned feet and bead-board panels gives the 48" Cottage Retreat Single Vanity the appeal of a beach-front cottage for your bathroom! 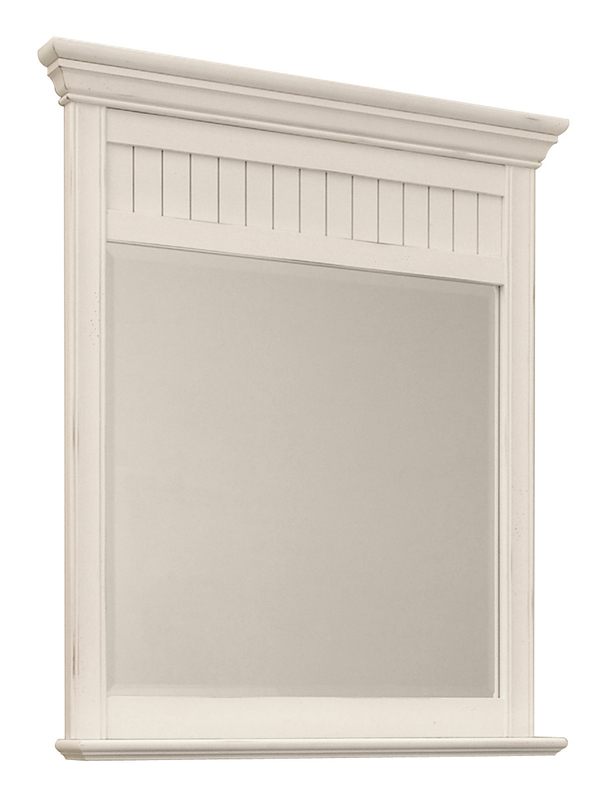 Offering a Victorian style, this vanity features a lightly distressed white finish with inset side panels, bead-board paneling, matching wood hardware on all the drawers and cabinet doors. Adjustable levelers allow you to adjust the height of the Cottage Retreat to best suit your needs. 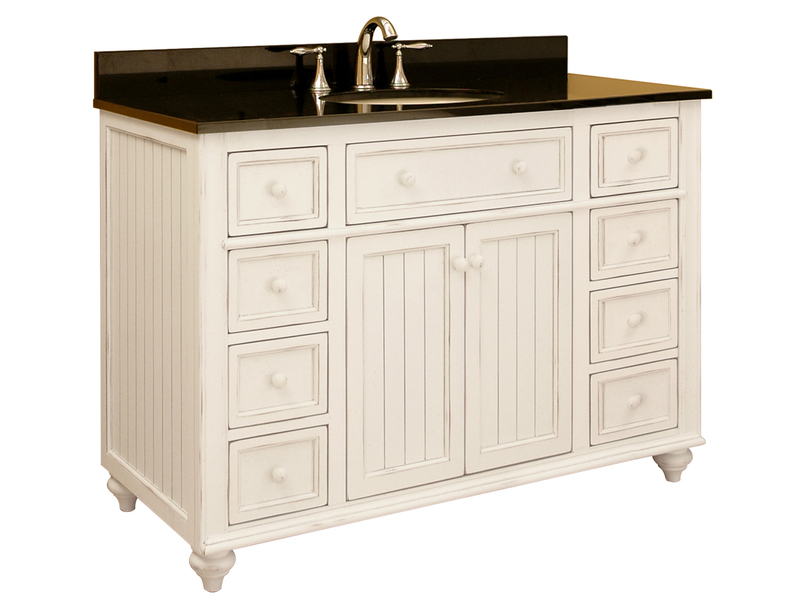 Drawer and double-door cabinet doors are made from solid wood with traditional English dovetail construction, giving enhanced durability to the entire vanity. 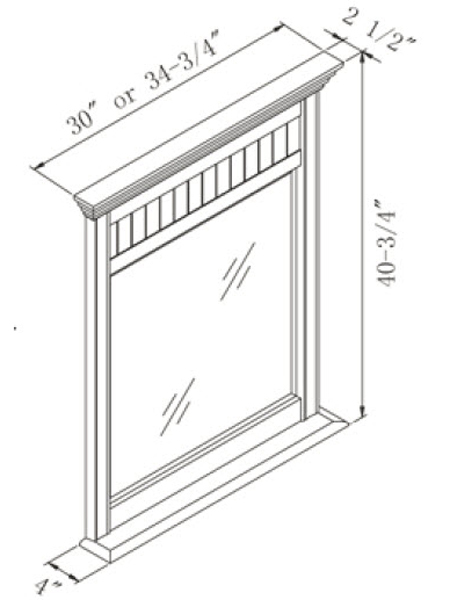 Add to your new vanity a matching mirror to give it a finishing touch! 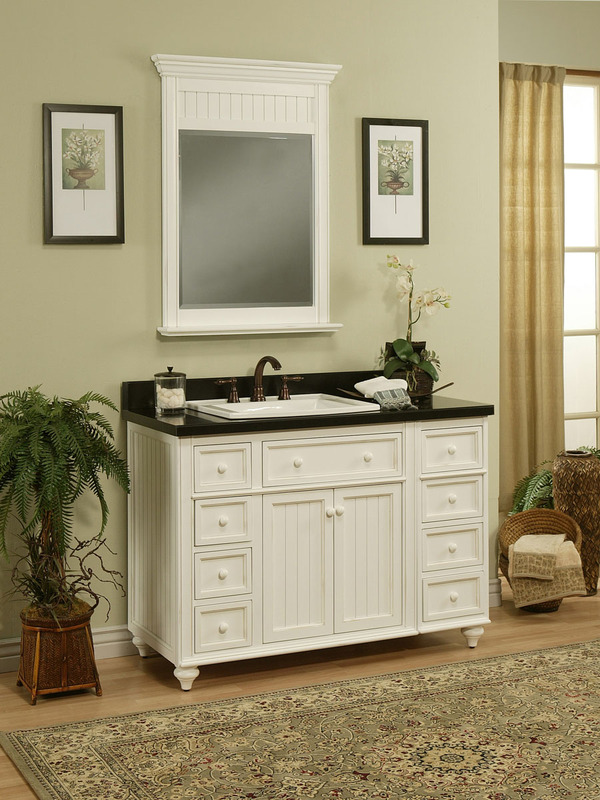 Two beautiful top options are available with the Cottage Retreat Vanity. Each top option is pre-sealed and pre-polished to a smooth finish and is includes a pre-mounted undermount white ceramic sink!